Romancing The Scarf Mystery Stitch Crochet Along! A gorgeous scarf that will have heads turning while keeping you warm. Hope you enjoy it! 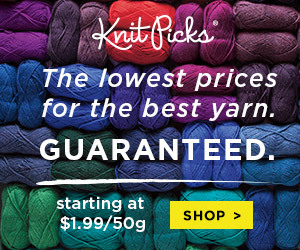 Share the love, add to Favorites, and Queue on Ravelry! WOW! That was so much fun crocheting the Romancing The Scarf! Thank you for hooking it up with me and sharing yours with me. I love getting to see everyone’s work. (smile) If you are new to the game you can purchase the completed Romancing The Scarf PDF Pattern on Ravelry. Thank you so much for following American Crochet and Mistie Bush Designs! You will need roughly 164 yards for Color A and 492 yards for color B. To make this scarf is completely optional. Fun sections with a variety of stitches to make a scarf!